1) It utilizes dumbbells which allow for a more natural range of motion of the shoulders and individual training of each arm. This is beneficial for those who have tight shoulders or experience discomfort during a barbell incline bench press. 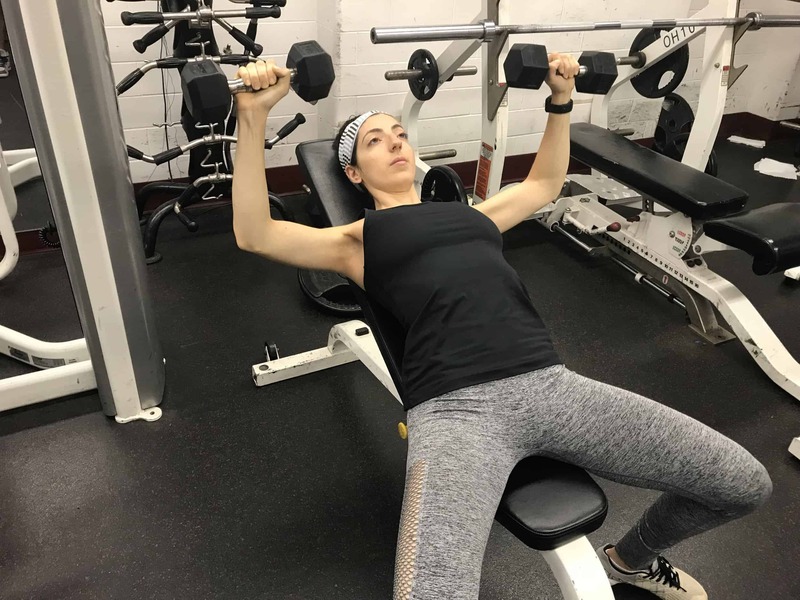 2) The incline angle changes the way your pressing muscles contract which shifts the burden to your upper chest and shoulder muscles more than a flat bench press. You will not be able to lift as much weight in this exercise compared to the flat dumbbell bench press. WHAT’S THE BEST ANGLE FOR THE INCLINE DUMBBELL PRESS? 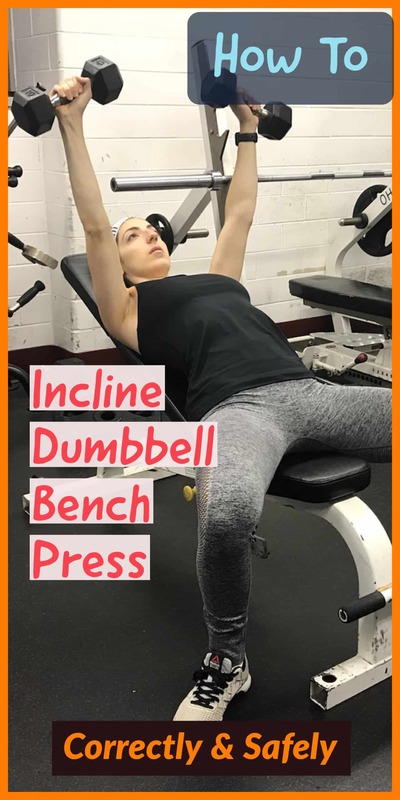 The lower the Incline, the more the movement resembles the traditional Bench Press, while the higher the Incline, the more it resembles an Overhead Press. High inclines will train the shoulders and upper pec muscles more, making the movement more difficult. A good place to start is roughly at the halfway mark between the two exercises or 30-45 degrees. Do not flare your elbows out to 90 degrees from your body. This position places a lot of strain on you pectoralis tendon as well as your bicep tendon. If you develop pain on the anterior side of your shoulder when performing this exercise, try tucking your elbows to a 45 degree (or less) angle to your body.